Have you damaged or lost your Mazda car keys and wish for them to get replaced or repaired? Replacing the key is less difficult than it might seem. Our car key technicians here at AZ Car Keys are definitely the most highly trained Mazda key replacing pros in Phoenix AZ. The Mazda automobiles are a product of The Mazda Motor Corporation based in Japan. 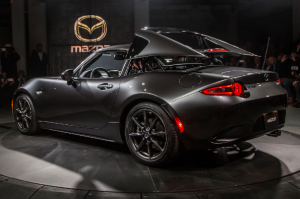 Founded in 1920, the Mazda was one of the leading automakers globally in 2011. Throughout the years, the Mazda has also continued to produce high quality cars. It has also established plants globally and from sport to family car designs, the Mazda model varieties are numerous. One of the most important factors to consider when purchasing a vehicle is its security features. The Mazda models have been fitted with the latest security features to ensure your car is completely secure at all times. One such feature is ensuring that the Mazda keys are of high quality and effective. The manufacturers have also had most of the latest models fitted with a system which makes it impossible to start your car without a transponder key. There are quite a number of Mazda car keys but here are the most popular ones. One popular key is the new ignition key blank for Mazda 3, Mazda 5, Mazda 6, Mazda mx-5 Miata and Mazda CX-9. It comes with a transponder, Chip 4D-63. This key has been created carefully and tested to ensure it is of high quality. Copying can now be done for the 8C Mazda transponder chip. Previously, the system was made to keep your car extra secure by having it unable to copy. Other security measures include being only to code a transponder chip once. Once it has been coded, it cannot be re coded. The ignition switches can be repaired upon damage and a replacement or duplication key made for the transponder key. This is by having it cut and programmed. One of the reasons why fob keys are popular is because of they provide so much convenience. You can have the key fob programmed by a professional or do it yourself. The keyless entry remote fob transmitter replacement for KPU41788 however, is one of the keys that will be quite tricky. It is recommended to have a professional locksmith cut the key and program it. This key is compatible with the Mazda CX-5, Mazda CX-7, Mazda CX-9, Mazda CX-5 Miata and Mazda RX-8. The replacement of keyless remote key fob will work when the user already has a working key. In many instances, the keys are compatible with other car makes other than the Mazda models. These are usually in most cases, Ford. 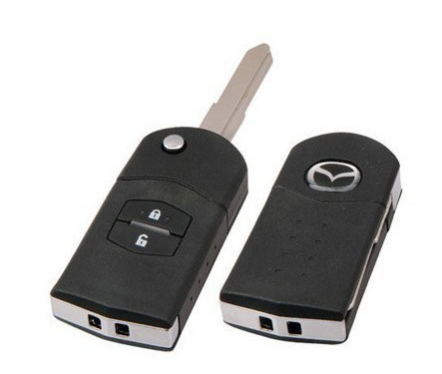 Replacement transponder chip keys for your Mazda vehicle come in handy when you have lost or broken your original keys. However your car doesn’t have to be on the list of compatible models for the fob key to work on it. The Mazda fob key will also work on your car if the ID and part number on the key is similar to that on your remote. These are made available to help you create a new key for your Mazda. However, you will need your original key for the spare key to be created. For some of the new Mazda models, a professional locksmith will be able to create a new key for you whether or not you have the remote. Mazda keys have been considered to be a bit more expensive compared to other car keys. However, you can always look for a dealer who will provide the key at a competitive price. Ensure the dealer is reputable and one with the right tools including software and experience. From standard to remote or even flip keys, they should be able to give you the variety you need. Additionally, Mazda keys also take a bit more time to order because it has to be booked first. This is especially for the 2012 Mazda 2. When looking for a replacement Mazda key, ensure that they key type you are considering is compatible with your Mazda car model. Do not make a purchase unless you are completely sure that the key actually fits your Mazda vehicle. If not sure, you can always have a professional verify it for you. Also, if you are uncertain about how you should program the key then have it done by an expert like AZ Car Keys. This is even if the instructions have been provided on how to do it yourself. Having it done by an expert will be faster and a much better guarantee of the work quality. The transponder system will also be complex for someone who is not experienced or trained to handle it. Mazda keys in no time! Completely lost my car key somewhere on the mountain. I gave up looking after a 45 minute backtrack and called these guys. They really bailed me out by showing up 40 minutes later and programming a replacement key in minutes! I will be recommending these guys to everyone I know.